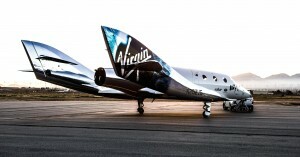 Virgin Galactic can officially begin flight-testing its SpaceShipTwo vehicle. Better known as its spaceplane, Virgin Galactic’s SpaceShipTwo was recently granted a commercial operating license from the Federal Aviation Administration, moving the vehicle one step closer to transporting passengers into sub-orbital space. The FAA license can be viewed in full here, which notes Virgin Galactic can only fly “non-deployed scientific, experimental, or inert payloads” at the moment. Obviously, a lot of testing must be done before Virgin gets the go-ahead to conduct SpaceShipTwo flights with human passengers onboard but that is ultimately the company’s end goal. After proving to the FAA that the vehicle’s hardware and software work properly during flight tests, the idea of “space tourists” will become a much more realistic possibility.